Here is a map demonstrates territory of Russia. interesting map of Vsevolozhsk this. actual map of Sertolovo presented. map of Pargolovo for gps. map of Novoye Devyatkino и OziExplorer calibration for Garmin. 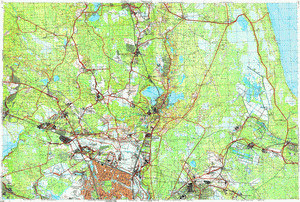 free map of Pesochnyy 1 cm to 1 km for Garmin. topographic map of Toksovo download for free. interesting map of Romanovka for you. map of Agalatovo presented. interesting map of Murino presented. interesting map of Bugry 1 cm to 1 km free download. actual map of Leskolovo for Garmin. free map of Levashovo и OziExplorer calibration for gps. free map of Shcheglovo 1 cm to 1 km for gps. free map of Lisiy Nos 1 cm to 1 km for Garmin. detailed map of Osel'ki и OziExplorer calibration download for free. actual map of Beloostrov for Garmin. topographic map of Borisova Griva with gps calibration presented.